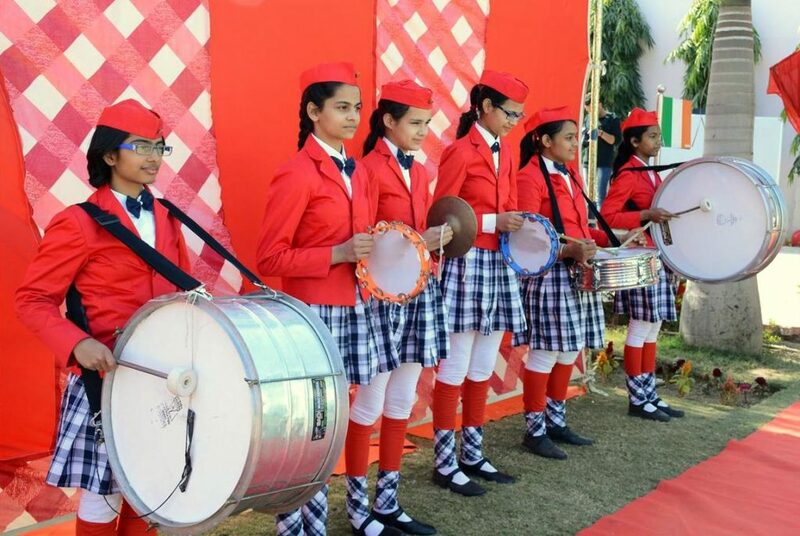 Saint MSG Glorious International School trusts if music were to continue in a child’s life in school they would do better academically than a student who did not take any music classes, that’s because music helps develop the brain, think about it, when you work out how you feel after, less stressed, clearer thinking, more relaxed well music is like a workout for the brain. Music is the most wonderful way of spiritual realization; there is no quicker and no surer way of attaining spiritual perfection than through music. A simple, familiar folk song is a musical education in itself. The examination of simple melodies encourages students to give reasons for what they feel. This liberates them from the erroneous and stultifying opinion that a response to beauty is based solely on subjective feeling (that beauty is relative) or habit (that we hear musical events as we do only because we have heard them repeatedly). It reveals, in highly specific ways, that human feeling is complex, that our emotional response to beautiful sound is grounded in a remarkably precise. Music lessons have been shown to improve children’s performance in school. By studying music, we want to cultivate our student’s taste, encourage their appreciation of Beauty. It compels us to transcend self-interest and self-feeling. We do not merely behold beauty but look up to it. In appreciating beauty, we admire that which deserves to be admired. To cultivate taste is therefore to cultivate judgment. Beauty, in short, is in the eye of the educated beholder. The MSG International Music faculty is specializing in piano, vocals, , brass and guitar/bass. .Music is compulsory subject for MSG kids. .We have one school band team named MSG school band. 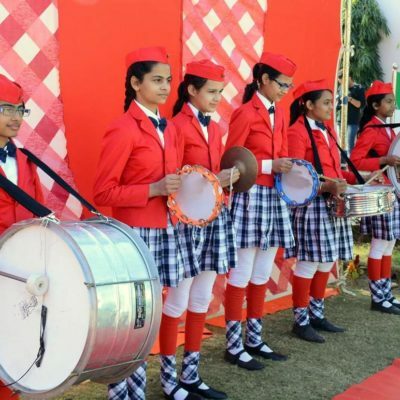 Students are learning different instruments like western instruments (piano, guitar, drums, kongo, snail etc), Indian instruments(sitar, dholak, harmonium etc)l. The emphasis in our Music Department is on western music as well as classical music as per the interest of the student . One famous musician said these same words many years back. Today, our daily lives are filled with limitations and rules. One place, probably one place in the entire universe, where there are no rules and regulations is in the world of music. Saint MSG Glorious International School wants students to be able to express their own ideas, to be able to live in their own world for some time. To do this, we provide a variety of instruments for the students to play with and be able to learn the power of sound and music in their lives. The Music Room is equipped with a set of various musical instruments. Students also learn to find their way around the keyboard, learn to read simple music and perform in front during the assembly. The expert Music teacher guides the students through the music experience.